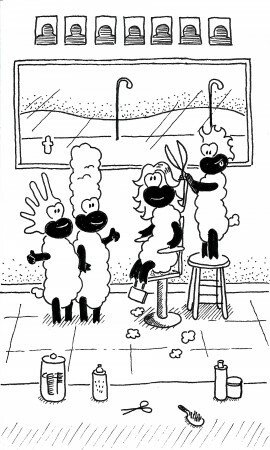 Seriously, that sheep has Marge Simpson hair. so they can have that certain special glow. We wax your legs and pluck away your eyebrows. We shave your chin and wash behind your ears. and she makes sure the ugly disappears. and add some orange highlights to your hair. that you’ve been to Bellinda’s… We’re the best!